The AmazonBasics Microwave is on sale for $18 off. Smart appliances can make you feel like you’re living in the future, but they can also just make your life generally more convenient (while you’re feeling so cool). Today, you can get some smarts in one of the most important appliances of all with an AmazonBasics microwave for $42, down from a list price of $60. This microwave is made to pair with an Amazon Echo device. Once connected, it can be controlled using just your voice, with useful commands ranging from setting cook times to heating up specific things, such as coffee or popcorn. The microwave has a handy Ask Alexa button built right in, which wakes up your Echo when pressed and gets it ready for voice commands. For movie lovers, there’s another sweet function—you can sign up to receive automatically-replenishing popcorn orders at a discount, and your microwave will reorder for you when your supply is running low. 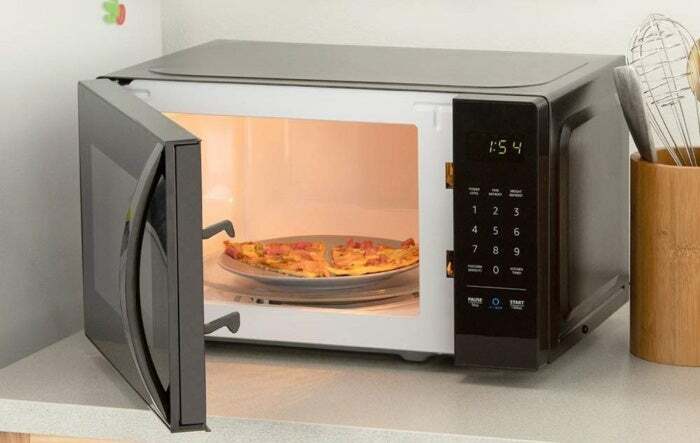 We haven’t tried this microwave yet, but we’ve had good luck with AmazonBasics gear in the past, and this discount brings the microwave down to a pretty great price for all its awesome features.